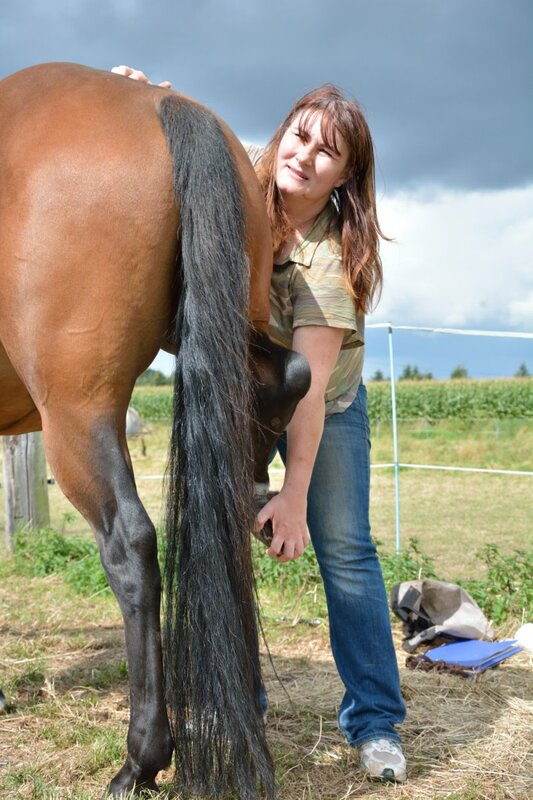 Equine osteopathy is a functional therapy, i.e. the treatment focuses on tangible movement restrictions of the joints. Balance, elasticity and the purity of movement are based on the unrestricted interaction of all structures involved. If these interactions are disturbed by metabolic disorders, pain or degenerative processes, blockages arise. The mobility of your horse is lost. So the removal of the blockades to activate the self-healing power of the body is the key to your horse’s joy of movement. A restriction of your horse’s movement cannot always be seen on an X-ray. And the findings that can be seen on an X-ray are not always the cause of this lameness. Often the place where the lameness develops is not even close to the damaged structure. For example, an inflamed hoof joint can result from a prolonged incorrect loading due to a blockage of the 7th cervical vertebra. It is therefore advisable to consider and treat the horse’s body in its entirety.